What would you do with an extra 10 hours a week? Our calendar is full. We’re stressed with our workload. We see how Johnny could benefit from exposure to a new project. We imagine what we’d do with all those extra hours in the week if we off-loaded some tasks. THE OPPORTUNITIES TO DELEGATE ARE ENDLESS. IN OUR MINDS, DELEGATION SHOULD BE EASY. It’s just asking someone to get something done, right? Yet we all struggle to delegate. 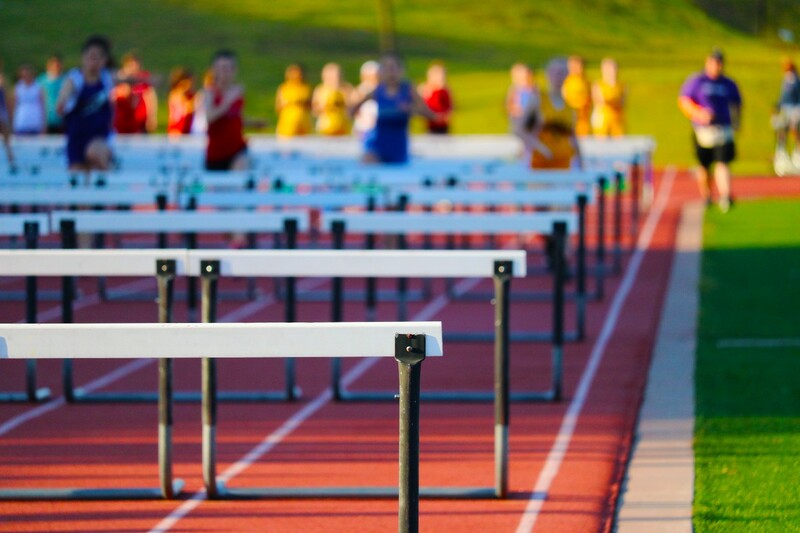 We must overcome four hurdles to truly succeed as delegators. For some, the known acceptance of what’s around us is too great. We love stress. We like being busy. Why risk the uncomfortable of change (by delegating tasks to others) when we can happily remain overworked and stressed? Unless we accept the challenge of a new unknown we will forever be stuck behind the hurdle of what’s known now. Learn to love what could be and jump the known hurdle. In a small business, the powerful people might be a husband or wife who dislikes an employee. We don’t delegate because we don’t want to hear about it home. Easier to stay overworked than risk the ongoing commentary of a spouse. Think of Bill, who has worked for a company for 10 years. Bill holds the political clout within the team; Bill is the real power-mover. It’s hard to delegate to Johnny when Bill holds the real power. At the end of the day, you are a leader. You say what goes and what doesn’t go. You decide what happens on your ranch. Be brave enough to make the delegation decision that is right, rather than what is popular. Learn to jump the political hurdle. When a car stops on the motorway, other cars must move around the stopped vehicle, or worse, run into them. In the same way, unmotivated staff actively hurt your work by slowing it down. If you have an unmotivated workforce, get help. Read a book, gain training, make some changes, whatever it takes to develop a motivated and engaged workforce. On a personal level, if you’re unmotivated to delegate, you miss the opportunity to exponentially grow. What would an extra 5–10 hours a week allow you to do for your company? We all think we’re perfect at the job we do. Perhaps we are perfect. Yet if someone can do a job 70% as well as us, we should consider delegating it out. If someone can do a job 70%as well as us, we should consider delegating it out. Yes, it might take someone an extra 3 hours to complete a task today. Next month, however, they’ll be faster; more time spent working on more projects for more billable hours resulting in more income for our company. Don’t let short-term thinking around resources become a hurdle to delegation. Start with delegating one thing on your “to do” list today. Train someone else to do it. Follow up tomorrow, and the next day, and by next month it may not be on your list. Just on theirs. Regardless of where you’re at in an organization, from the CEO to newest employee, there is always something to delegate. Overcome the four hurdles to delegation and jump into a new season of leadership.